Obi Makura (帯枕) | Ready, Set, Kimono! Makura (枕) translates to pillow and this piece of komono (kitsuke accessory) is used to both support and give some volume to a musubi. There is more than one kind of makura, all with slightly different shapes and purposes. 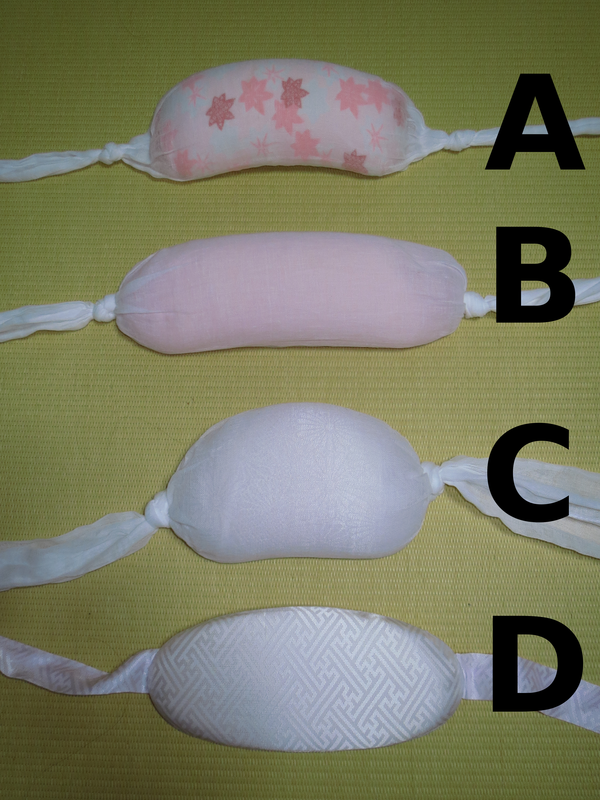 This guide should give you a better idea of the different types of makura available so you can make the right choice when buying yours. This makura could be considered the “standard” makura, but I use that term lightly. This makura is designed for casual musubi. 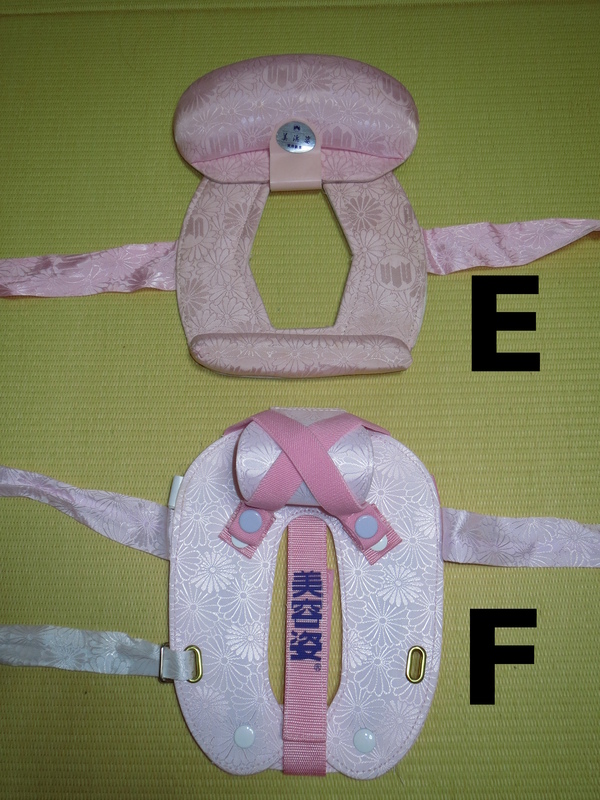 It is particularly suited for tying the otaiko musubi (お太鼓結び) with a Nagoya obi. The makura looks very similar to style (A) but it is longer. 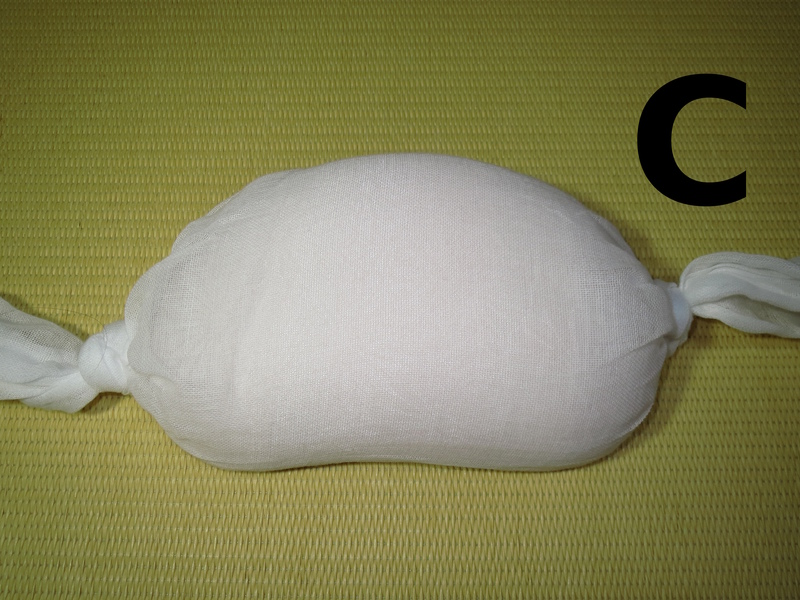 This makura is designed to be used when tying the more formal nijyuudaiko musubi (二重太鼓結び) or variants of it. It provides a flatter top to the drum of the musubi. This makura will give great volume to any musubi that requires it and it’s particularly suited for traditional furisode musubi such as the fukura suzume musubi (ふくら雀結び). 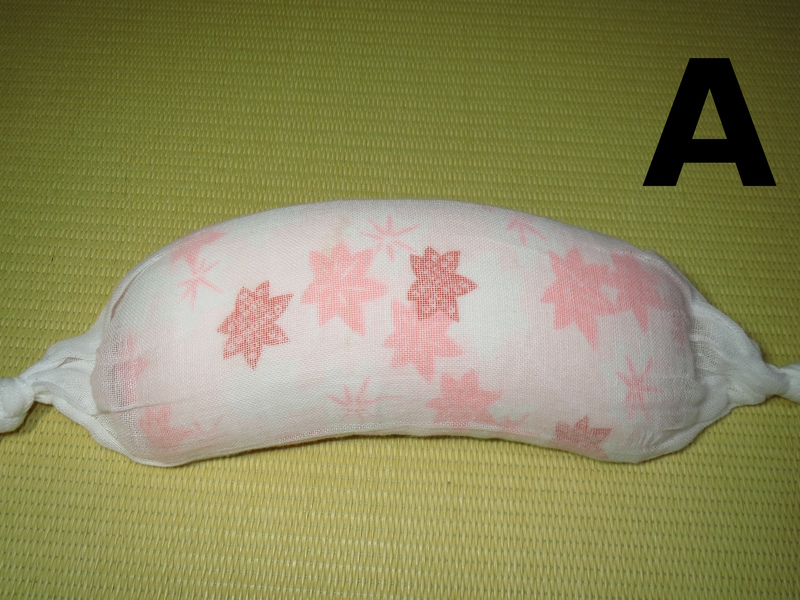 This makura is sometimes called a tsunodashi makura. This name refers to its popularity in tying the tsunodashi musubi (角出し結び) although a koshihimo will work just as well. The tsunodashi musubi doesn’t require the volume that is given by the other makura, so this makura is much thinner than the others. It is also much stiffer to provide the support needed. 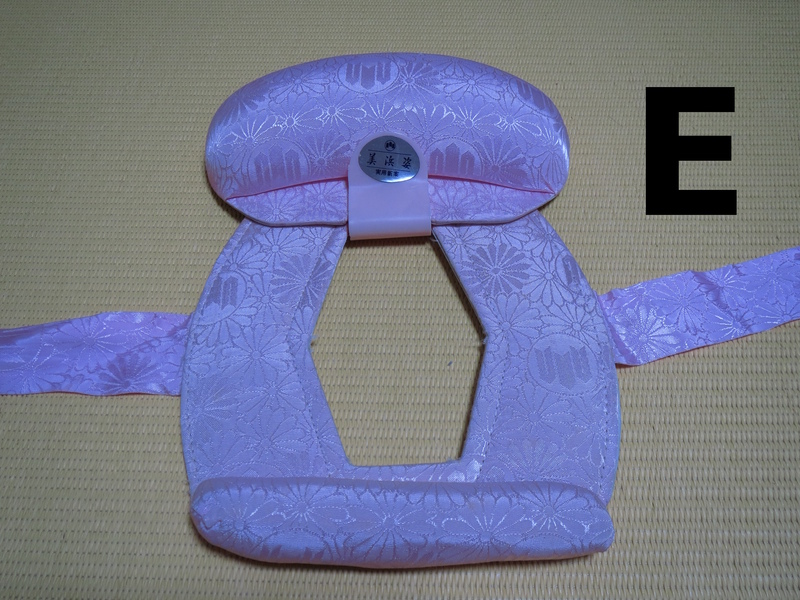 This makura may also be used by older women who do not want much volume in their otaiko musubi. This makura goes by several different names (including sugata obi makura) and its popularity seems to depend on both the kitsuke school that you study under and personal preference. Personally, I prefer to use a traditional makura as I find that any musubi I tie with this makura does not feel secure on my back for very long. 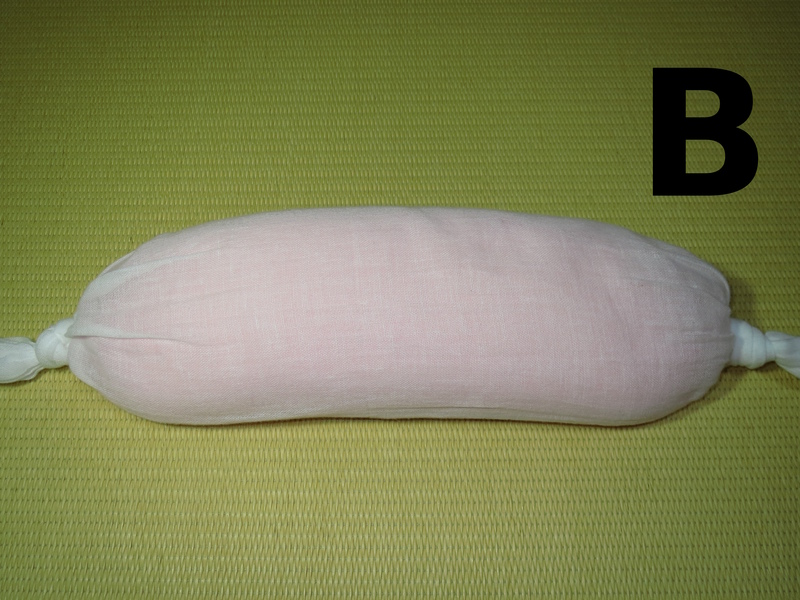 This makura is called a biyosugata, and it was developed by the Sodo School of Kitsuke. This makura is not available in stores and can only be ordered from teachers certified by the Sodo School. 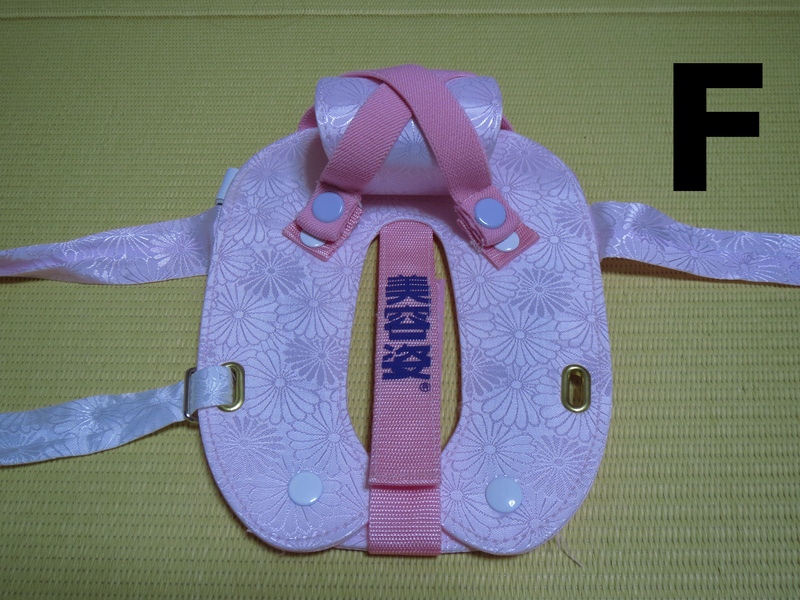 It acts in a similar manner to the sugata makura (E), but it has more straps and snaps to hold everything in place. This makes any musubi tied on it more secure than the sugata musubi. I included this “makura” because it can be very deceiving upon first glance. This is not actually an obi makura. It is padding for the lower back. 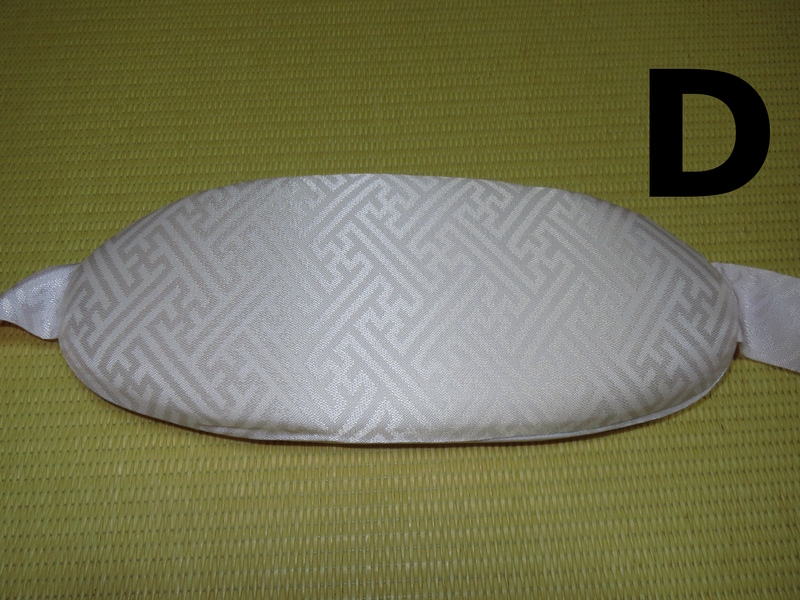 It looks similar to the tsunodashi makura, but it is missing the stiff middle layer and it has different dimentions. Buyer beware! Here are all the makura in a side by side comparison.